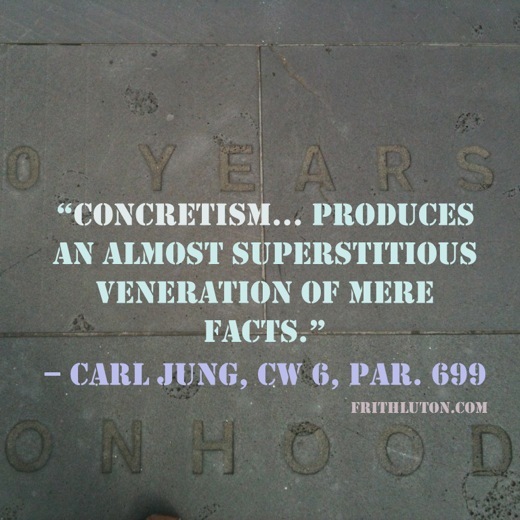 Concretism as a way of mental functioning is closely related to the more general concept of participation mystique. Concrete thinking and feeling are attuned to and bound by physiological stimuli and material facts. Such an orientation is valuable in the recognition of outer reality, but deficient in how it is interpreted.